bathroom vanities or even custom-made furniture. The Atlas team searched the globe to bring you some of the most durable and exotic Quartz surfaces in the world. The Atlas Quartz Collection provides unique depth, color and style to bring beauty to counter tops, vanity tops and surrounds. 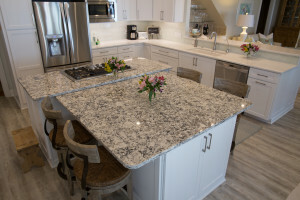 Atlas Quartz designers have carefully selected a range of colors and styles with the highest quality standards to provide an unparalleled Quartz product and service for the Gulf Coast area. Your satisfaction is very important; when dealing with Atlas, we’re a name you can count on. 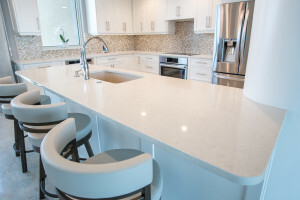 When considering investing in a Quartz surface with us, there is one thing you should know, we stand behind of our product and service, especially when it comes to our customer service. 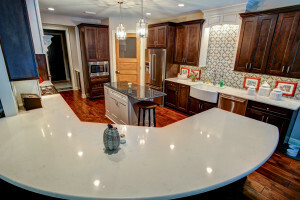 Please take a moment to see our Quartz Collection and connect with an Atlas representative to begin your project. Strength & Durability– Atlas Quartz Surfaces are diamond hard and twice as strong as granite and other precious stones. 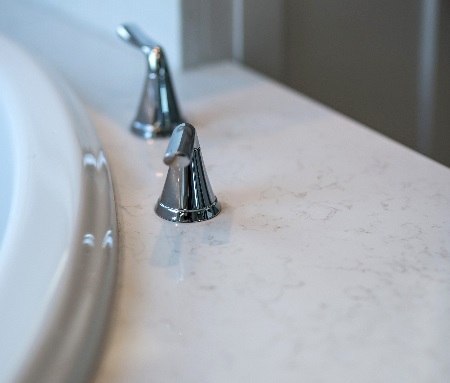 All Natural & Maintenance Free – Atlas Quartz is a non-porous, pure natural stone surface and requires no sealing, polishing or reconditioning, just wash with warm water and mild soap. It’s that simple. There’s no cost of upkeep for Atlas once it’s installed. 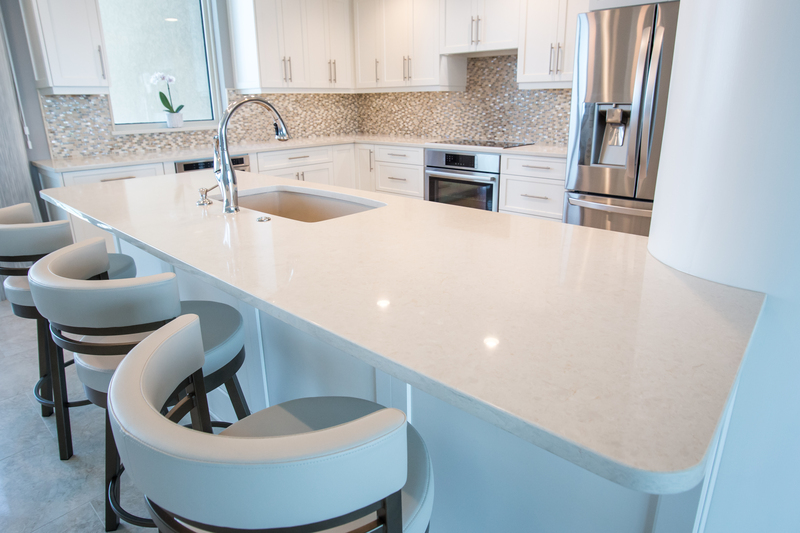 Atlas Quartz Stone Surfaces will resist stains from common food items such as wine, lemon juice, tea, coffee, and fruits and vegetables. Food Safe – Atlas Quartz is certified as safe for use as a food preparation surface and is nonporous, preventing food and moisture from penetrating the surface, which is the main source of growth for harmful bacteria. Everlasting Value – With its beauty and performance advantages, an Atlas Quartz countertop will add lasting value to your home or commercial project! Quartz is one the most durable minerals found in nature with high density and non-porous qualities, normal cleaning with a damp cloth and mild detergent is all you need to keep your Atlas Quartz surface looking great. With Atlas Quartz you don’t need to worry about staining, scratching, or bacterial growth. Atlas Quartz is the ideal choice if you’re looking for something maintenance-free.